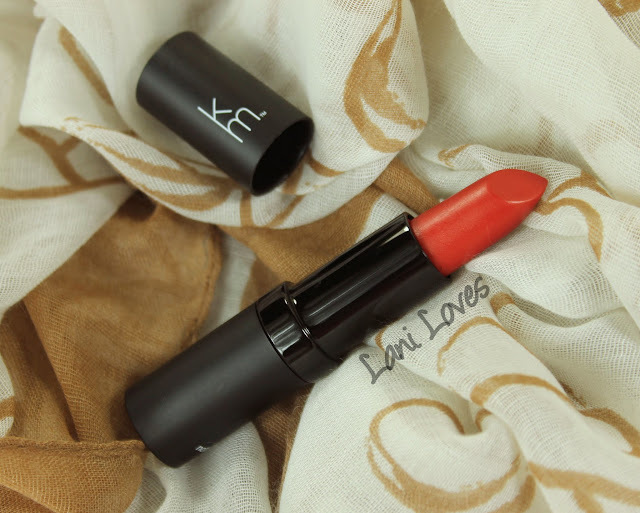 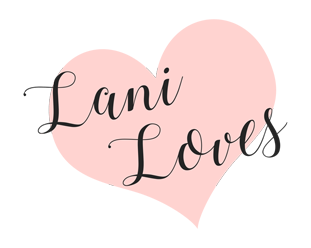 I got a rather lovely parcel from Karen Murrell at the end of July, which means it's time to review another lipstick for you! :D If you'd like to see more Karen Murrell lipstick reviews or in action, please check out my Karen Murrell tag. 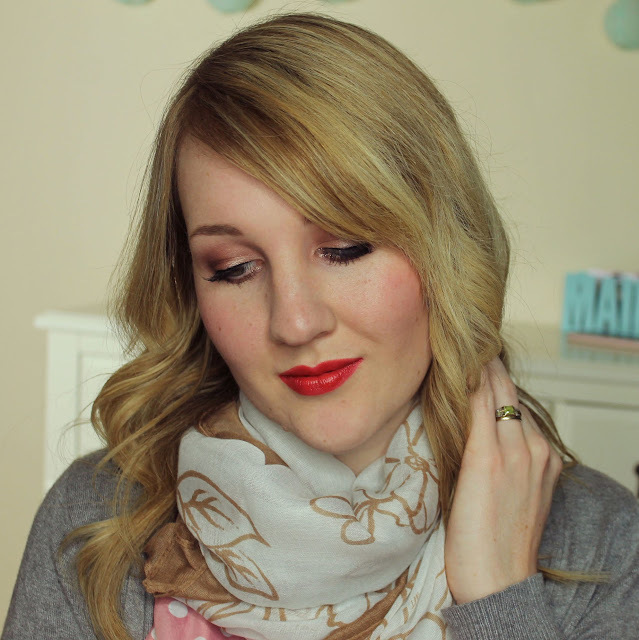 I'm thinking of doing an overview post with swatches of all the ones I have in one place, would anyone be keen for that? 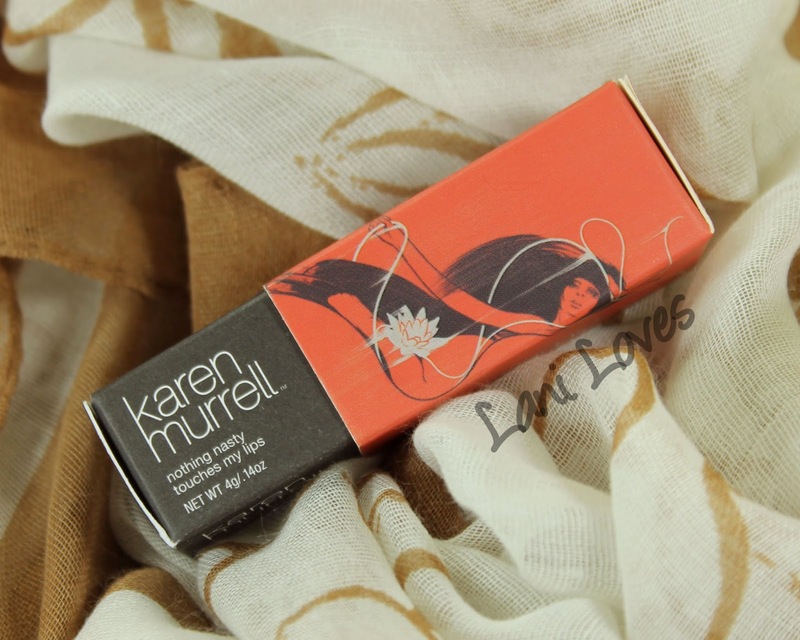 Each Karen Murrell lipstick features its own artwork on the outer cardboard sleeve of the box. 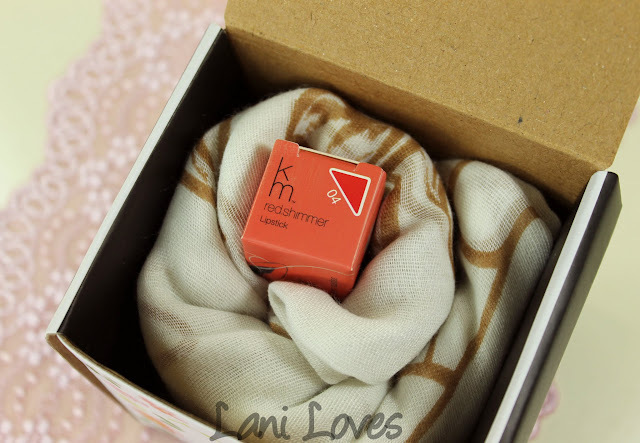 The tube is their usual classy and sturdy matte black with the 'KM' logo. 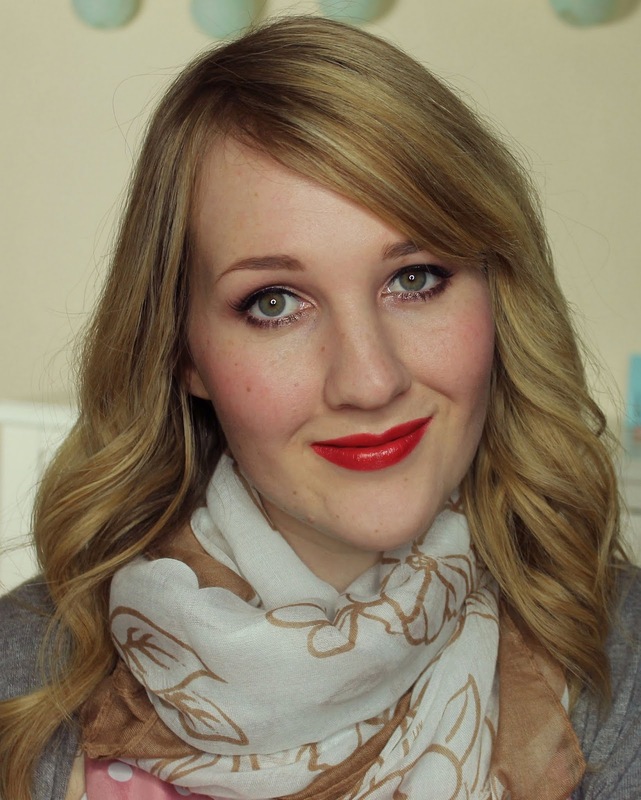 Karen Murrell's lipsticks are touted as 'vegetarian lipsticks', created with natural ingredients and ecologically friendly recycled packaging. They are designed to nurture your lips, improving their condition each time you wear a Karen Murrell lipstick. 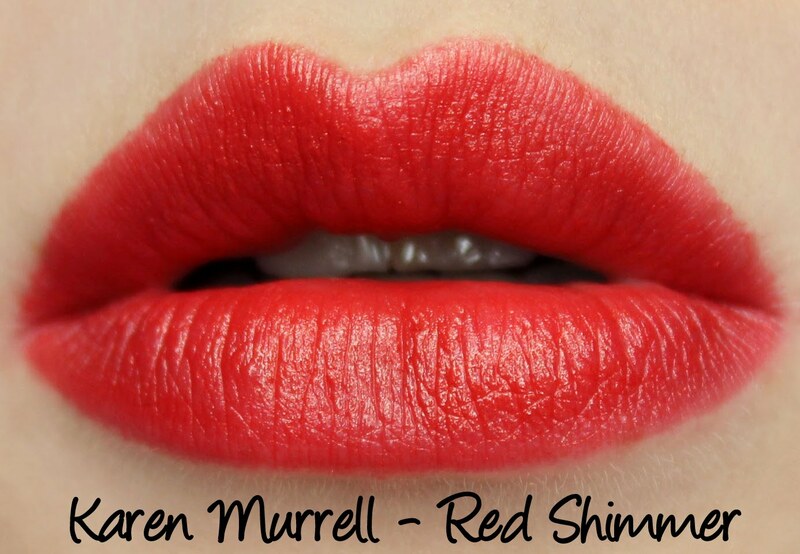 Red Shimmer is a medium pink leaning red with very fine shimmer that adds sheen instead of frostiness. 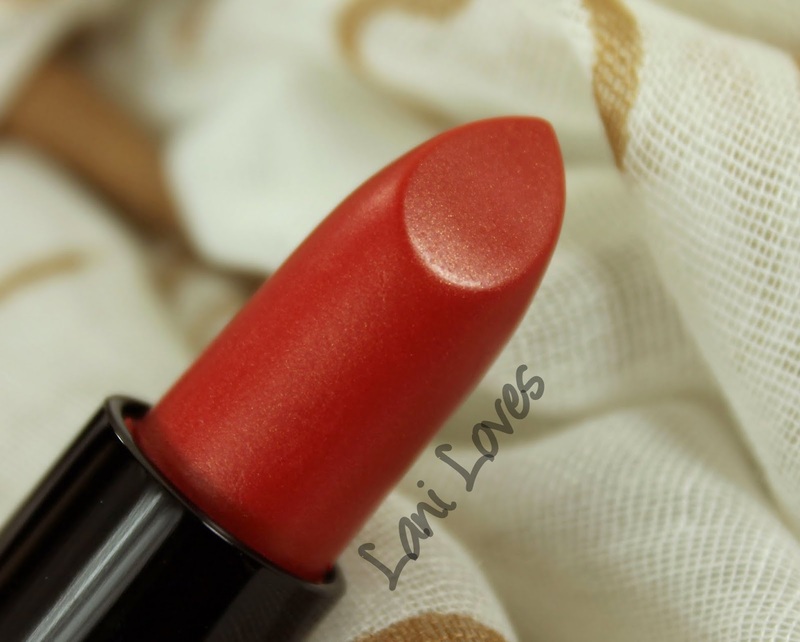 It has Karen Murrell's usual smooth but slip-free formula with buildable colour pay off, making it ideal to double duty as a creme blush. As is often the case with Karen Murrell lipsticks, Red Shimmer was a pleasure to wear and lasted for four hours on me without being drying or feathering. 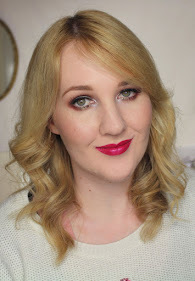 I did find the weartime short for a red though and it was looking a bit faded after three hours. 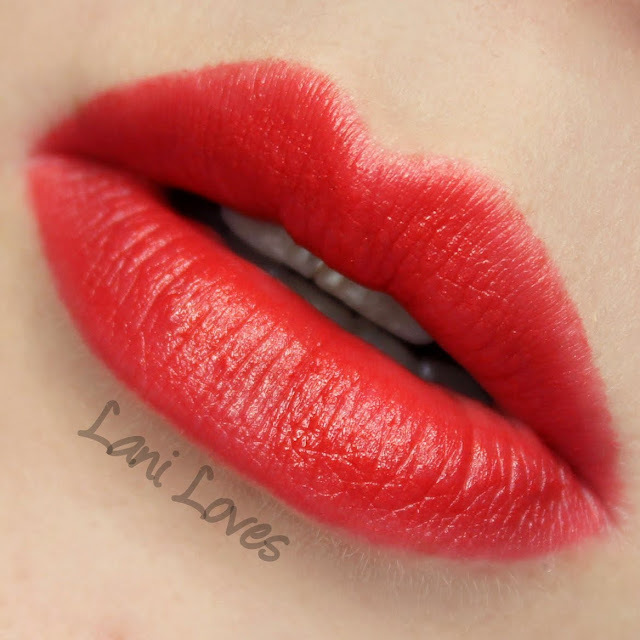 What do you think of Red Shimmer?